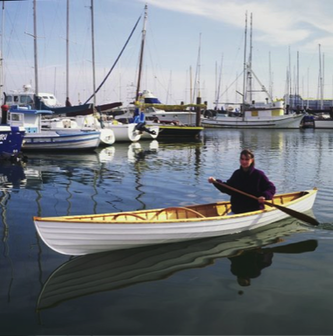 This solid-wood lapstrake canoe is a traditional design combining lightweight portability with substantial carrying capacity. 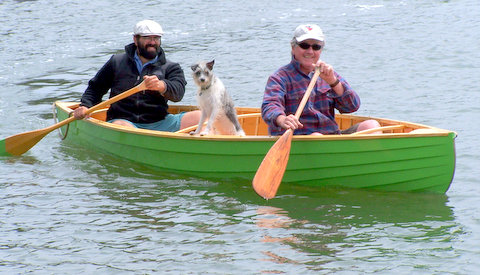 It carries two adults but can also be paddled single-handedly. The seats are adjustable, and the spreaders are removable when you want to strap it to a roof rack. This isn’t a whitewater craft and should be stored ashore, under cover, so it doesn’t get water-logged and heavy. 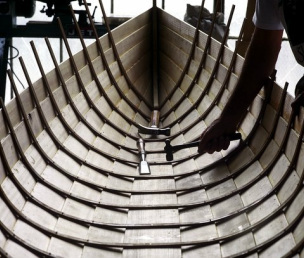 Simon Watts has been building boats for longer than many people have been alive. 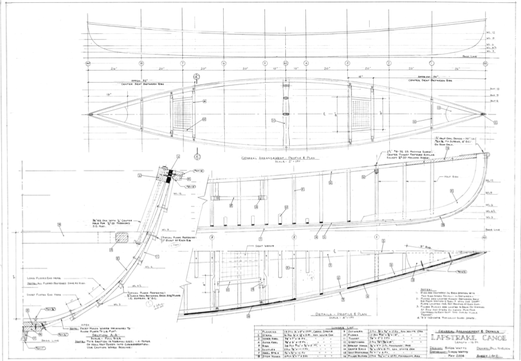 At eighty-seven, he’s hoping to get his plans out there and put more boats of his design on the water. His son Richard’s contact info is below to buy the plans. Simon is happy to answer questions about building the canoe itself over email, at simonawatts@earthlink.net.